Book Review: Lafayette: Lessons in Leadership From The Idealist General by Marc Leepson | What Would The Founders Think? In Marc Leepson's short book on this important "American", Lafayette's membership in the cadre of remarkable men who made the founding possible is revealed. He seemed always to be where he was most needed and to always perform beyond expectation both on the battlefield and in the political arena. Lafayette: Lessons in Leadership From The Idealist General by Marc Leepson is the first book we have reviewed from a series entitled The World Generals. (We do have another one in the queue about George Washington.) Lafayette is a fast paced biography, if perhaps a little short on the promised “lessons,” it is packed with interesting facts about a man to whom America owes much. The author chooses to conduct his “lessons” through the way he recounts Lafayette’s many and major contributions to the cause of liberty in America and France. Consequently, it doesn’t read like a lecture, but rather as a high level, but surprisingly complete biography. The book is less than 200 pages and makes for quick reading. Born into a position of privilege and wealth, Lafayette was surprisingly down to earth and humble. What started as youthful fantasy – liberty and republican governance – became a lifelong passion for the marquis. Risking the ire of the French king, Lafayette set sail for America to see what he could do for the United States. Initially rebuffed by the Continental Congress as yet another spoiled aristocrat place seeker, he was ultimately welcomed warmly by the fledgling government on the basis of his wealth, power, and influence with the French government. However, he won Washington’s heart on his merits as a man. After his initial cold reception by Congress, Lafayette responded tactfully with a note: “After the sacrifices I have made, I have the right to exact two favors: one is to serve at my own expense — the other is, to serve at first as a volunteer.” The offer worked. Lafayette was assigned to serve on Washington’s staff. He served at his own expense and also funded his aides-de-camp. Washington quickly took Lafayette’s measure and realized his worth. He allowed Lafayette to participate in the battle at Chadds’s Ford, the first battle of his life. Arriving at the scene, the American troops were being routed after undergoing a “murderous barrage” of enemy cannon and musket fire. It was Lafayette who saved the day by rallying the troops, dismounting and physically pushing them forward. He organized an orderly retreat and prevented a rout. Only when he attempted to get back on his horse did he realized he’d been shot through the calf. His boot was full of blood and he needed assistance to mount. In spite of his wound, he stayed with the men, accompanying them back to Chester. Washington soon joined them and had his surgeon treat the wound. It was the young James Monroe who looked after Lafayette during his convalescence. The two men formed a life long friendship. Their paths would cross again. This is one of the many interesting intersections in Lafayette’s life that Leepson deftly weaves into his story. During the war Lafayette also became fast friends with Generals Nathaniel Greene, John Sullivan and Daniel Morgan, and enjoyed intimate access to political luminaries like John Hancock and John Laurens. However, Lafayette was not a big fan of Brigadier General Thomas Conway, the leader of a cabal to displace Washington as commander in chief. Lafayette proved his loyalty to Washington during the Valley Forge encampment by doing everything in his power to help Washington thwart the cabal. Part of the intrigue , which ultimately came to nothing, included separating Lafayette from his hero, Washington, by ordering him to take command of a division and attack Canada. Lafayette, always respectful of the chain of command, reluctantly agreed to do as he was bid, but suggested reasonable alterations to the plan to Congress. These modifications were granted and included a request that his orders would come through Washington, not through Horatio Gates, the head of Congress’s Board of War. Also granted was the request that his second in command would be Johan de Kalb, not Thomas Conway. The designer of the future capitol of the United States was also among Lafayette’s staff – Pierre Le Enfant. Lafayette went to New York to prepare for the attack on Canada. Ultimately the whole expedition ended up being an exercise in futility and Lafayette wisely prevented its execution when it became clear that there were insufficient supplies, and that less than half the troops promised by Gates’s Board of War had been provided. He explained the situation to Congress in a letter on February 20, 1778 and the Board of War lost support in Congress and nearly all anti-Washington sentiment evaporated. On March 2nd, Congress, realizing they’d been duped by Gates, and that in spite of his misgivings, Lafayette had done all in his power to carry out his orders, issued him an apologetic letter. Lafayette rejoined Washington at Valley Forge just in time to hear the news that France had signed a treaty with the United States and that in response Britain had declared war on France. Although the attack on Canada fizzled, Washington decided to give Lafayette a leading role in what would end up being a battle with the second largest number of forces engaged in the war. It would also be the longest battle in terms of constant action. Washington expected that the new French alliance would be a turning point in the war. In responding to it, the British were redeploying their forces. They had already evacuated Philadelphia and Clinton’s army of 10,000 was marching to New York through central New Jersey. Lafayette urged an attack on his rear guard. General Charles Lee (whom Washington would later cashier) argued against any significant moves. He thought that they should restrict themselves to harassing guerrilla attacks. Washington overrode his objections and appointed Lafayette to lead the campaign with Alexander Hamilton as his second in command. When Lee got wind of this, he whined to Washington that he was the senior officer and that he and others would be disgraced by such a move. Reluctantly, Washington reversed himself and put Lee in command. Lafayette was willing to be displaced in order to conciliate Lee’s ego. But Washington evidently still had reservations as he wrote to Lafayette to inform him of his decision. General Lee’s uneasiness [over Washington naming Lafayette to command the troops was] rather increasing than abating, and your politeness in wishing to ease him of it has induced me to detach him from this Army, with a part of it, to reinforce, or at least cover, the several detachments under your command at, at present. At the Same time that I felt from Genl. Lee’s distress of mind, I have had an eye to your wishes, and the delicacy of your situation; and have therefore, obtained a promise from him, that when he gives you notice of his approach and command, he will request you to prosecute any plan you may have already concerted for the purpose of attacking or otherwise annoying the Enemy. On June 27, when Washington gave the order to attack Lee dithered and took his time. Lee’s men were late in catching up to the British on the 28th, near Monmouth Courthouse. In the ensuing skirmish. Lee issued a series of conflicting orders that confused his subordinates. He was obviously befuddled and didn’t know what to do. He couldn’t decide if the British were coming or going. When his confusion and poor leadership became obvious to the British, they reacted decisively and the tide began to turn heavily in their favor. Frustrated and concerned, Lafayette sent word to Washington about the situation. Although progress reports from Lee to Washington had indicated that nothing was amiss, Washington relied upon Lafayette’s intelligence. As he moved toward the fighting he saw the evidence of Lee’s misinformation. 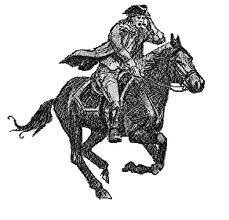 … American troops were on the run from the British. The retreating men had said that Lee had ordered them to fall back. Washington then came face-to-face with Lee, and they argued. Washington sent Lee to the rear and rallied the retreating masses into a blocking force with Lafayette at his side. Washington performed fearlessly and heroically from atop his white charger. The men responded and regrouped and held the British before making an organized retreat to form a stronger defensive line. In his memoirs, Lafayette played down his role in the fighting, even if others did not. But although Lafayette played a significant role on the battlefield in America, it wasn’t just his martial abilities that he used in America’s service. He made several trips back and forth to France during the war. In France he lobbied tirelessly on behalf of America and maximized his celebrity. In 1779, Lafayette was given command of a regiment that was to be part of a plan to invade England with 20,000 men. But there were delays in organizing the French and Spanish Fleets, the weather was as contrary as were the British, who refused to fight the combined fleets, and finally an outbreak of smallpox among the fleet, convinced the French to give up on their plan. This prominent role began almost immediately upon his return to America in advance of the French troops and ships. Lafayette played a “crucial role in coordinating the actions of the French and American armies, including setting up a provisioning system for the French troops.” In addition to his military contributions, Lafayette also undertook a lobbying and letter writing campaign to get governors and other state officials to “do their parts to provide, men, materiel, and provisions to the American army.” He wrote letters to men like Samuel Adams, (interestingly, the author suggests that Lafayette had met him in Paris, but this reviewer can find no evidence that this Adams was ever in France), Pennsylvania governor Joseph Reed, Connecticut’s John Trumbull, and New York’s George Clinton. When Lafayette wasn’t lobbying or fighting on the battlefield, he was finding other ways to be of service to his adopted land. It was Lafayette who proved to be the voice of reason in quelling a mutiny among 2,500 troops of the Pennsylvania militia. They were frustrated at a lack of provisions and pay, an all too common complaint. Lafayette calmed their concerns and brought the situation under control, preventing a feared defection to the British. When you arrive at your destination, you must act as your own judgment and the circumstances shall direct. … [If Arnold] should fall into your hands, you will execute [him] in the most summary way. Mild laws, a people not used to prompt obedience, a want of provisions of war and means of procuring them render our orders often ineffectual. As the story progresses to the surrender of Cornwallis at Yorktown, Lafayette again plays an integral role in using his credit and reputation to convince Baltimore merchants to provide about $20,000 in supplies and provisions. This helped to ensure that the men under his charge remained loyal to him over the course of the next 6 critical months in Virginia. At this point in the book Leepson apparently realizes that he hasn’t commented as much as the subtitle of the book would seem to indicate is required. He uses Lafayette’s discretion in advocating caution to the Comte de Grasse who wanted to attack Cornwallis before all the pieces were in place, as an example of Lafayette’s growth as a leader. It was apparent that the twenty-three-year-old Frenchman had made marked strides as a leader during his four years in America. He had tamed his youthful aggressive tendencies. The marquis was able to formulate strategy and tactics as situations warranted — as in this case when he wisely urged caution. Later when de Grasse lost patience and threatened to return to the French West Indies, it was Lafayette again who Washington dispatched to save the day and convince the comte to remain on station until Yorktown and Cornwallis were in hand. Without the powerful French fleet blocking the Chesapeake Bay, the whole effort would be in jeopardy. Again and again, it was Lafayette in the midst of diplomatic, military, and political crises, who fought tirelessly for America. When in France he wore his American uniform, even when in audience with the king, as he considered himself still attached to its service. Lafayette’s attachment to America didn’t stop after the revolution. He remained in contact with Washington throughout the French Revolution and tried to ease France into a Constitutional Monarchy. Ultimately, he found himself the target of both factions. The radicals accused him of being a toady of the King, and the aristocracy hated him for his liberal republicanism. He ended up fleeing for his life, being captured and spending years imprisoned. His old friend James Monroe managed to secure the liberty of his wife and children. His son was sent under an American passport to the United States and his wife and daughters elected to join the Marquis in his Austrian prison. Leepson covers Lafayette’s political activities in France at a break-neck pace (fine for our purposes at WWTFT), and portrays a man deeply committed to the cause of freedom, but at the same time one that is eminently practical in his realization that France was not suited for the American system of government. While Lafayette remained largely silent, politically, during the reign of Napoleon (a precondition to allowing his return to France), he played an integral part in the Revolution of 1830. Some actually called upon him to seize the reigns of government, but he, hearkening back to Washington and Cincinnatus, refused, instead throwing his support behind Louis Phillipe the Duke of Orleans. The following conversation between the two men was reported. “You know that I am a republican, and that I consider the Constitution of the United States as the most perfect system that ever existed,” Lafayette said. “That is just what I think,” the duke said. … worked closely with an astounding number of the most important and influential American and French leaders of the age. That list of Lafayette’s American close friends and colleagues includes Thomas Jefferson, Thomas Paine, George Washington, Benjamin Franklin, John Adams, James Madison, James Monroe, John Quincy Adams, Daniel Webster, Andrew Jackson, James Fenimore Cooper, and many others. The marquis’ French friends and contemporaries include Germaine d Stael, Louis XVI, Marie Antoinette, Louis XVIII, Charlse X, Louis-Philippe, Napoleon, Robespierre, and a slew of other prominent — if less-remembered — ministers, government officials, noblemen, clerics, and military men. First, once the Marquis de Lafayette set his sights on a goal, he was unrelenting in doing everything in his power to attain it. That was true from the time Lafayette was a teenager until he was in his mid-seventies. Second, Lafayette learned early in life to adopt multifaceted strategies and to be flexible. … he soon learned that there is much more to fighting a war than being bold, assertive and fearless when the bullets are flying. Third, Lafayette, even though he was a born-and-bred nobleman, learned the value of being in the trenches with his troops. He was nearly always upbeat and led by example. … Through victory and tactical retreats, Lafayette never was outthought or outfought on the field of battle. The Marquis de Lafayette was far from perfect. He was sometimes vain, naive, immature, and egocentric. But, he consistently stuck to his ideals, even when doing so endangered his life and fortune. Those ideals proved to be the founding principles of two of the world’s most enduring nations, the United States and France. That is a legacy that few military leaders, politicians, or statesmen can match.